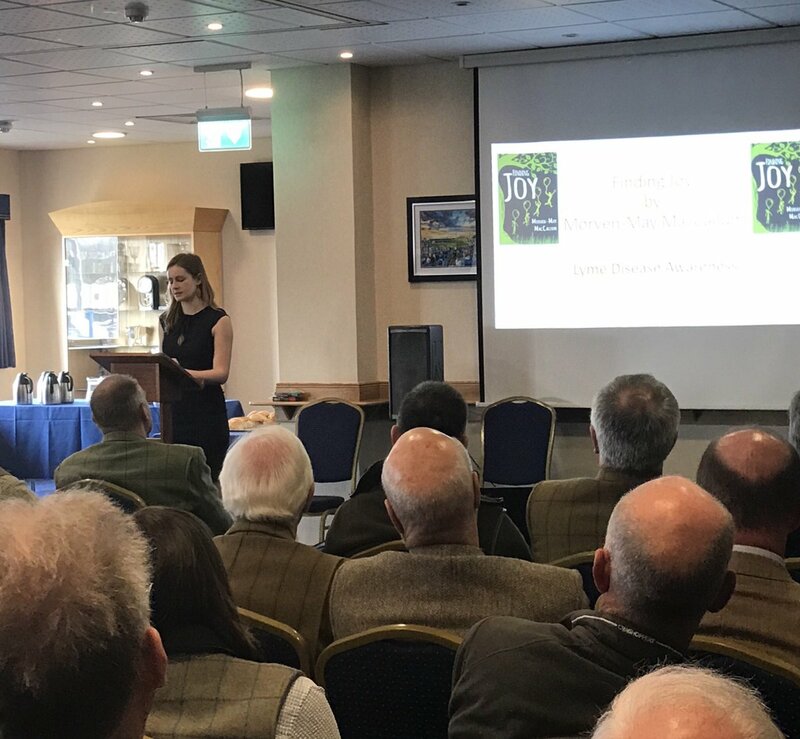 So pleased to have been a part of this great event in Perth with the Scottish Gamekeepers Association SGA. What a pleasure to have been surrounded by such wonderful people. What a wonderful way to get back into the swing of things! Thanks so much for having me. It was a please to meet you all. What a laugh we had together 😃. Next, I’m off to Perth! I have two very exciting events happening this week! I’m so honoured to have been asked to speak at Findacure this Wednesday about Lyme disease – at the University of Strathclyde. And….then I’ll be speaking in Inverness on the Thursday at the Spectrum Centre Inverness about Finding Joy and Lyme disease at 11.30am. Truly can’t wait. Talks, Writing courses and book related events. Never in all my days did I think I’d go to the bathroom and find my own face staring back at me on the cubicle door.😂😃😂 So pleased that I’m apart of Ness Book Fest! Hope to see you all on Friday (5th October) at Café Artysans at 5pm. Never in all my days did I think I’d go to the bathroom and find my own face staring back at me on the cubicle door 😂😃😂…. What in incredible couple of days at Bookends Festival Benderloch and Oban High School – thanks so much for having me! Thank you so much to everyone who came to Tain Library last night! What a pleasure to meet you all and thank you for the incredible spread of cakes and beverages afterward. Just a wee reminder that I’ll be in Tain tomorrow! I’ve got my trusty box all packed and ready to go. Can’t wait 😃.